The GW Medical Faculty Associates Mobile Mammography Program makes early detection for breast cancer accessible to underserved women across the metropolitan Washington, D.C. region. The Mammovan reaches women where they live and work and offers screenings without regard to women’s ability to pay. The Mammovan breaks down barriers to lifesaving mammography access by partnering with community leaders, having bilingual patient navigators, and alleviating financial constraints. Early-stage breast cancer has a nearly 100 percent cure rate, and therefore it is critical to assure that all women, regardless of socio-economic status, have access to lifesaving mammography and early detection. 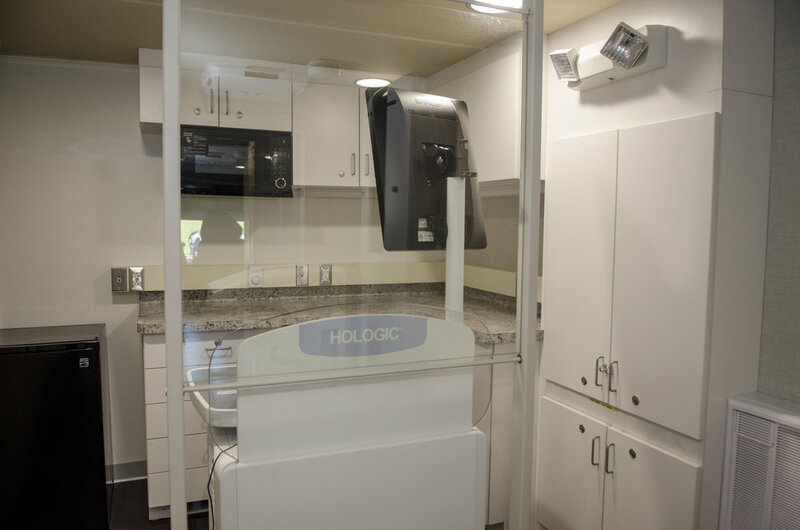 This self-contained mobile unit travels to corporate and community sites, offering one-stop breast cancer screenings performed in a comfortable, convenient environment. The program is committed to making this service available to all women. For women who will develop breast cancer this year, early detection is the key to survival. Since 1996, The GW Medical Faculty Associates Mammovan has traveled to community sites and screened more than 36,500 women. The Mammovan is recognized for providing state-of-the-art screenings. The Mammovan currently travels to 160 sites throughout the D.C. region and partners with 70 community-based organizations and businesses. 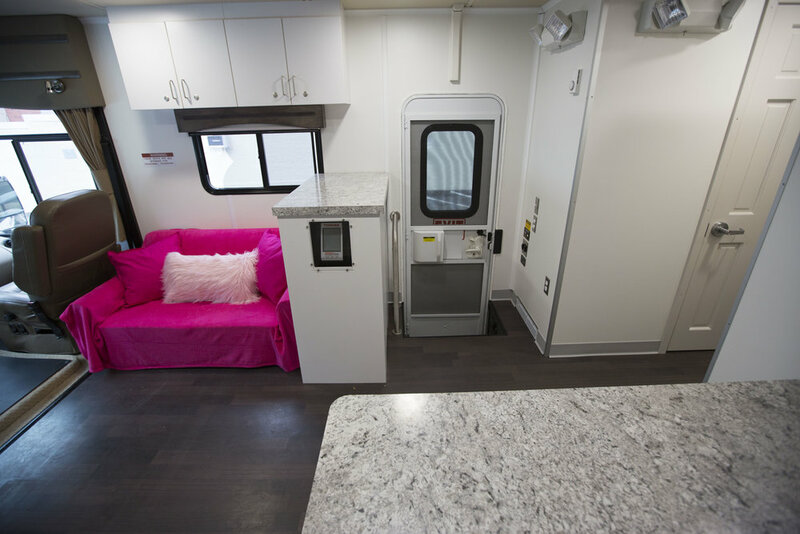 See the Mammovan site schedule by clicking here. Through these partnerships, the Mammovan brings lifesaving breast cancer screenings to approximately 2,500 women each year. Mammography is a quick, painless examination making it easy for women to access services during coffee breaks, lunch hours, or between errands. By minimizing the time spent seeking services, The GW Medical Faculty Associates Mammovan ensures that women are less likely to put off receiving the breast cancer screening services that they critically need. The unit’s mobility also supports bringing screening services into neighborhoods without existing facilities. Working in conjunction with local community leaders, The GW Medical Faculty Associates Mammovan team identifies appropriate screening sites that best serve the needs of local women.